You are here:Home » Promotion / Events » Boots Finally Arrives In Singapore! 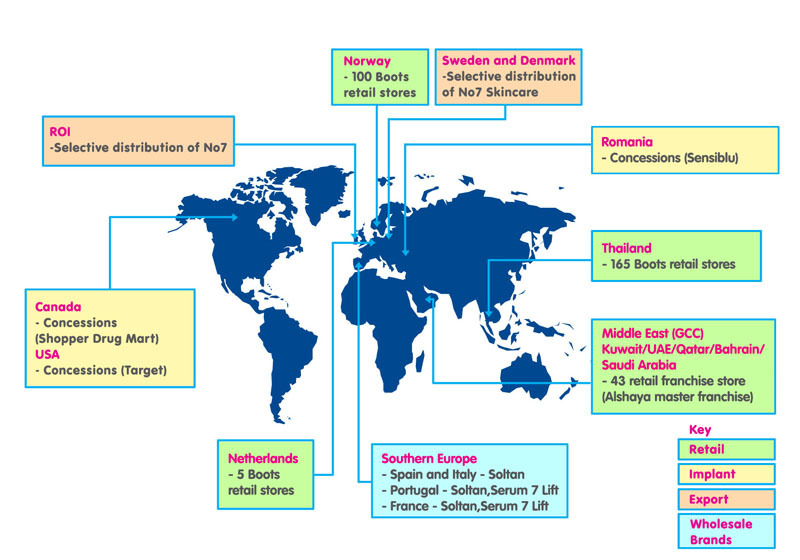 Celebrating 160 years, the Boots brand has gone from strength to strength, both in the UK & internationally, & it has recently arrived in Singapore. Boots has an excellent reputation for differentiated health & beauty products, & excellent customer care. There is a fantastic promotion currently going on at Boots! Those with a budget concern, Boots is a place to shop at affordable prices. You’ll get 30% off many of the products! 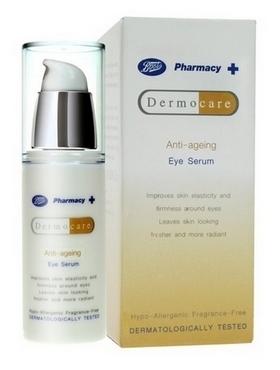 Improves kin elasticity & firmness around the eyes. Leaves skin around the eyes looking fresher and more radiant. An easily absorbed crystal clear collagen gel. 8 out of 10 trial lists were satisfied that with continuous use helped reduce the appearance of fine lines & wrinkle. It’s also Hypo-allergenic & Fragrance-free. Improves skin moisture, leaving skin more revitalized. Contains Hydrolyzed Collagen to help improve skin elasticity & firmness. 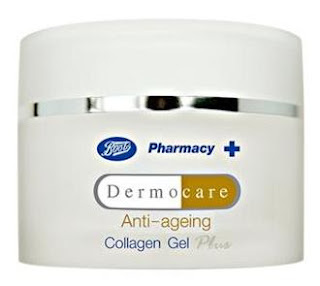 Leaves skin feeling softer, firmer, smoother & looking younger. Shop at Boots & it comes with Free Delivery for orders over Baht4,000 (approx S$170), irrespective of the weight of your order! What I like most about Boots is their Returns Policy. If you change your mind after you’ve placed your order or have incorrect item ordered by mistake, Boots is more than happy to refund or replace as long as you return your item within 7 days of receiving your delivery. Check their Returns Policy Boots Asia. Check out Boots now for your convenient one-stop shopping for the entire family! ho ho ho.. never heard of Boots.. maybe,it's because I'm a man.. LoL.. but,hey Singapore.. when will si Aki see U?? Ha ha ha..
B.Runway, hope u'll get the chance to visit S'pore soon. I've been to Taipei on many occasions & love the night mkt there :) Thks for visiting & I look fwd to your new post too! This is awesome, Shirley! The prices of these skincare products are value for money. Gonna check them out! Babel, I'm glad u like the products. Guess it's worth trying, considering their price. Happy shopping! Jay, thks for dropping by! Have not heard about Boots before but the serum looks like worth giving a try, after all I do venture into new products to try out. When I saw your title, I thought it's kinda pair of shoes. But when I read your content, this reminds me Boots is actually similar to Guardian and Watson. Hahahah. Diane, I'm sure that's the first thing that comes into one's mind when they see the title. Lol! The products at Boots are so affordable & they won't burn a hole in your pocket. Hahaha! Sounds like some great products. You do a great job getting the word out. Kristen, thks so much for the feedback! Have a great week, dear! I like Boots products and use some from their natural line. Biren, looks like u're the only one here who has ordered from Boots :) Glad to know that! Kim, hahaha! Nice one, sweetie! I wish they will come to KL! I love this chain. Never miss going there when I am in Bangkok! I wonder when they will have it in Malaysia! Can't wait! Charmaine, thks for dropping by & have a great week! thnks you very muchfor your wishes Shirley...appreciate that you did look the post! Unfortunately we don't have boots where I live, but during my visit to the UK I did get a chance to visit one. I'd totally check out those products if we had a Boots here. Thanks for bringing this to our attentions. Those prices are awesome!